Columbus is also known as: Colorado County / Columbus city. Their current mayor is Mayor Dwain Dungen. Zip codes in the city: 78934. Colorado County funeral flowers can be purchased from one of the local funeral shops we partner with. Some of the notable people born here have been: Bo Schobel (american football player), Matt Schobel (american football player), and Roland Mitchell (american football player). Columbus is a city in Colorado County in southeastern Texas, United States, a part of the Houston–The Woodlands–Sugar Land metropolitan area, 74 miles (119 km) west of Houston. The population was 3,655 as of the 2010 census. It is the county seat of Colorado County and is located on the Colorado River. The Colorado County Courthouse is listed on the National Register of Historic Places.The town motto, coined by James Harbert Wooten, Jr., M.D., is "City of Live Oaks and Live Folks". Columbus is the home of a Santa Claus Museum, based on the collection of Mary Elizabeth Hopkins. It was revealed by Texarkana Gazette on October 10th, 2017 that Lesia Ann Ms Kelley died in Columbus, Texas. Kelley was 53 years old. Send flowers to express your sympathy and honor Lesia Ann Ms's life. It was revealed on April 17th, 2017 that Beulah Evon Banta (Carr) died in Columbus, Texas. Ms. Banta was 94 years old and was born in Greensburg, KS. Send flowers to share your condolences and honor Beulah Evon's life. It was reported on August 17th, 2016 that Mary Ann Neeley (McCormick) perished in Columbus, Texas. Ms. Neeley was 76 years old and was born in Galena, KS. Send flowers to express your sympathy and honor Mary Ann's life. It was written by The Herald on April 3rd, 2016 that Mattie M Gonzals-Warren (Gonzales) passed on in Washington. Ms. Gonzals-Warren was 91 years old and was born in Columbus, TX. Send flowers to express your sorrow and honor Mattie M's life. It was reported by Visalia Times-Delta on October 30th, 2014 that Jeanette Ann Borges passed on in Visalia, California. Borges was 78 years old and was born in Columbus, TX. Send flowers to express your sympathy and honor Jeanette Ann's life. It was disclosed on December 13th, 2013 that Eric David King passed on in Columbus, Texas. King was 24 years old and was born in Honolulu, HI. Send flowers to express your sympathy and honor Eric David's life. It was reported by Visalia Times-Delta on January 2nd, 2013 that Marion Bernice Heydenburg (Brown) passed away in Visalia, California. Ms. Heydenburg was 78 years old and was born in Columbus, TX. Send flowers to share your condolences and honor Marion Bernice's life. It was disclosed by Lubbock Avalanche-Journal on October 17th, 2012 that Norris Glenn Phipps perished in Columbus, Texas. Phipps was 91 years old. Send flowers to express your sorrow and honor Norris Glenn's life. It was reported by The Daily Oklahoman on August 23rd, 2012 that Alvin Drescher died in Oklahoma City, Oklahoma. Drescher was 94 years old and was born in Columbus, TX. Send flowers to express your sorrow and honor Alvin's life. It was noted on May 25th, 2012 that Samuel Howard Dorr passed on in Columbus, Texas. Dorr was 88 years old and was born in Chicago, IL. Send flowers to express your sympathy and honor Samuel Howard's life. In 1890, 2,199 people lived in Columbus, Texas; in 1900, 1,824 residents existed. 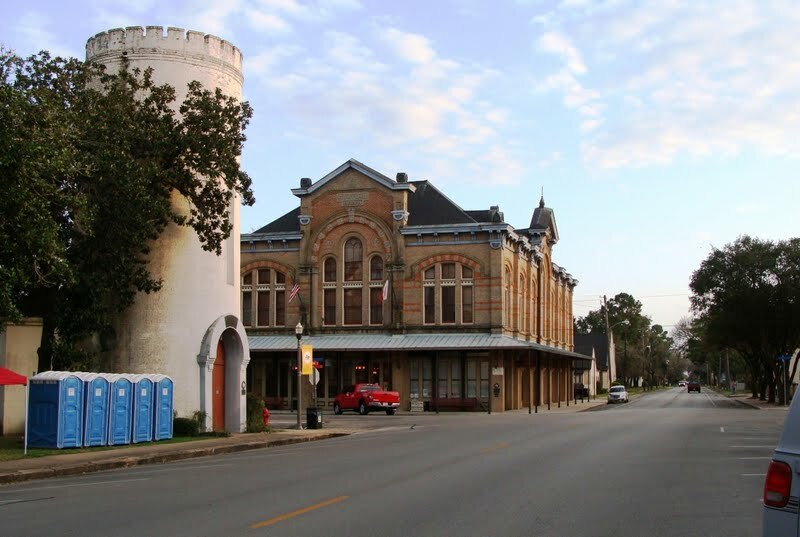 Columbus is a city in Colorado County, Texas County, Texas, United States, 74 miles (119 km) west of Houston, Texas along Interstate 10, on the Colorado River (Texas) River. The population was 3,916 at the 2000 census. 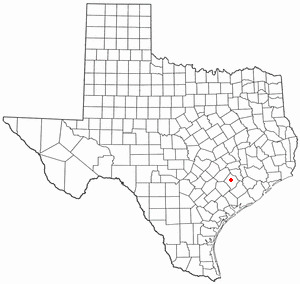 It is the county seat of Colorado County, Texas County . The town history includes the politically motivated Reese-Townsend feud of the late 19th century and early 20th century, which resulted in several people being killed in gunfights. The official website for the city of Columbus is http://www.columbustexas.net. Henneke, Robert H - Henneke Funeral Home, Columbus, TX : Reviews and maps - Yahoo! Local, 979.732.2143. Get Ratings, Reviews, Photos and more on Yahoo! Local. Davis, Ben - Ben Davis Funeral Home, Columbus, TX : Reviews and maps - Yahoo! Local, 979.732.8415. Get Ratings, Reviews, Photos and more on Yahoo! Local.